If you understand the simple answer to this question, it makes it much easier to come up with startup ideas and get going. 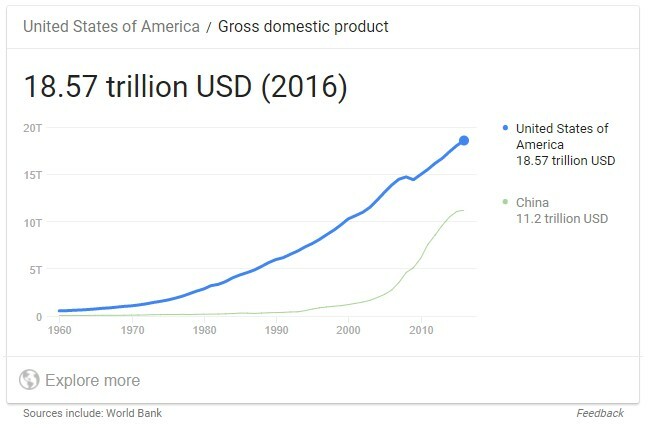 $18 trillion is a big number. Almost impossible to imagine. But think about it as a giant river of dollar bills, where 18 trillion dollar bills flow past you every year. That is nearly $50 billion per day. One way to think about it: This money represents the total value of all of the transactions in the economy. So if you buy a bottle of water for $1, that is one tiny part of the $18 trillion for the year. Anything you buy: shirt, book, laptop, table, car… It’s all in there – all of the transactions in the U.S. economy add up to $18 trillion per year. More info here. So how do you become an entrepreneur? Becoming an entrepreneur is super simple: The day you decide that you want to insert a new product or service into this gigantic economy, and tap into the giant river of dollar bills that is already flowing, you become an entrepreneur. Some would say that it is the moment of insertion that makes you an entrepreneur, but to me it is the moment when you acknowledge your intent. If you are working toward inserting a new product or service into the economy, you are already an entrepreneur. A key thing to recognize is that you can insert nearly anything into the economy. Any product. Any service. With any price. At any terms. The “economy” does not care what you try. Try almost anything you like – as long as it is technically legal, you’re fine. Can your new product be a soda that contains cocaine? Probably not – that falls outside the bounds of “legal” (although apparently it was OK a hundred years ago). But nearly anything that is legal is fine. Go for it – create any product or service that you can imagine, and you can insert it into the economy and see what happens. The gigantic amount of freedom here is important to understand. You can inject nearly anything you like into the economy. It can have whatever features you choose. It can have any price you want to set. It can have a lifetime warranty or no warranty. Whatever you want. And then the third thing happens. The people who make up the buyers in the economy will then choose to buy, or not to buy, your thing. They vote with their dollars. If people like what you are selling, they will consume it under whatever price and terms you have set. Usually we say that they would “buy it”, but that is not always the case, so it is better to say that they will consume it. Initially the world did not notice my website at all. For six months traffic was essentially zero. But then one day a journalist came to HowStuffWorks and wrote a little article about it, because he liked it. And then another journalist, and another. Once HowStuffWorks reached a certain critical mass, people found it useful. They would come back, and they would tell their friends. Traffic grew. Were any of these visitors “buying” anything from HowStuffWorks? No, not at all. To them, HowStuffWorks was free. They were consuming HowStuffWorks, not buying it. However, as traffic grew it became possible to make revenue – it became possible to sell advertising. As traffic grew, advertising revenue grew. Fast forward 9 years and HowStuffWorks sold to the Discovery Channel for $250 million. In the case of HowStuffWorks, YouTube, Instagram and Whatsapp, the ideas were inserted into the economy, people in the marketplace liked those ideas in large numbers, and then money flowed to the creators. This is the essence of entrepreneurship.